Primary open-angle glaucoma (POAG) is a leading cause of blindness worldwide. 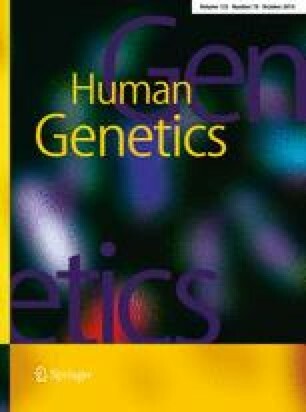 Using genome-wide association single-nucleotide polymorphism data from the Glaucoma Genes and Environment study and National Eye Institute Glaucoma Human Genetics Collaboration comprising 3,108 cases and 3,430 controls, we assessed biologic pathways as annotated in the KEGG database for association with risk of POAG. After correction for genic overlap among pathways, we found 4 pathways, butanoate metabolism (hsa00650), hematopoietic cell lineage (hsa04640), lysine degradation (hsa00310) and basal transcription factors (hsa03022) related to POAG with permuted p < 0.001. In addition, the human leukocyte antigen (HLA) gene family was significantly associated with POAG (p < 0.001). In the POAG subset with normal-pressure glaucoma (NPG), the butanoate metabolism pathway was also significantly associated (p < 0.001) as well as the MAPK and Hedgehog signaling pathways (hsa04010 and hsa04340), glycosaminoglycan biosynthesis-heparan sulfate pathway (hsa00534) and the phenylalanine, tyrosine and tryptophan biosynthesis pathway (hsa0400). The butanoate metabolism pathway overall, and specifically the aspects of the pathway that contribute to GABA and acetyl-CoA metabolism, was the only pathway significantly associated with both POAG and NPG. Collectively these results implicate GABA and acetyl-CoA metabolism in glaucoma pathogenesis, and suggest new potential therapeutic targets. J. N. C. Bailey, B. L. Yaspan, J. L. Haines and J. L. Wiggs contributed equally. The online version of this article (doi: 10.1007/s00439-014-1468-7) contains supplementary material, which is available to authorized users. The Harvard Glaucoma Center of Excellence and Margolis fund (Boston, MA) support LRP and JLW. LRP, JER and JLW are also supported by Research to Prevent Blindness, Inc. (New York, NY). The Arthur Ashley Foundation also supports Dr. Pasquale. The Glaucoma Research Foundation (San Francisco, CA), American Health Assistance Foundation (Clarksburg, MD), and the Glaucoma Foundation (New York, NY) support YL. The following National Institutes of Health Grants support the maintenance of the Nurses Health Study and Health Professionals Follow-up, allowing these health professionals to contribute to this analysis: CA87969, CA49449, UM1 CA167552, and HL35464. The following Grants from the National Human Genome Research Institute (Bethesda, MD) supported GLAUGEN: HG004728 (LRP), HG004424 (Broad Institute to support genotyping), HG004446 (C. Laurie, U. Washington, to support genotype data cleaning and analysis). Genotyping services for the NEIGHBOR study were provided by the Center for Inherited Disease Research (CIDR) and were supported by the National Eye Institute through Grant HG005259-01 (JLW). In addition, CIDR is funded through a federal contract from the National Institutes of Health to The Johns Hopkins University, contract number HHSN268200782096C. The National Eye Institute (Bethesda, MD) through ARRA Grants EY015872 (JLW) and EY019126 (MAH) supported the collection and processing of samples for the NEIGHBOR dataset. Funding for the collection of cases and controls was provided by National Institutes of Health (Bethesda, MD) Grants: EY015543 (RRA), EY006827 (DG), HL073389 (Hauser, E), EY13315 (MAH), EY09611 (Hankinson, S), EY015473 (LRP), EY009149 (PRL), HG004608 (CAM), EY008208 (Medeiros, P.), EY015473 (LRP), EY012118 (MAP-V), EY015682 (TR), EY011671 (JER), EY09580 (JER), EY013178 (JSS), EY015872 (JLW), EY010886 (JLW), EY009847 (JLW), EY011008 (Zangwill, L), EY144428 (KZ), EY144448 (KZ), EY18660 (KZ). None of the authors have any commercial interests in the subject of the manuscript or in entities discussed in the manuscript. BL Yaspan and JN Cooke Bailey were supported in part by NIH Grant T32EY021453. The authors have no conflicts of interest relevant to the material presented in this manuscript.